with our My Lead Generator Program"
You're invited to apply to learn the business building secrets of Australia's Premier Website Traffic and Lead Generation Specialists. It's time to FastTrack your Success in 2010. 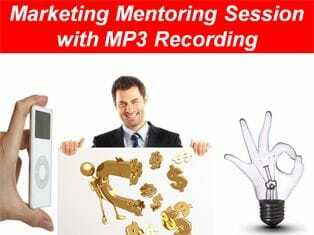 It's time to make a dramatic change in the way you market your business in 2010 and beyond. This practical program will boost your business and give you the skills to succeed both on and offline. 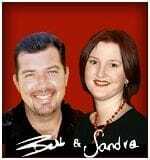 Client Success Story - "Just This Week Over $10,000 in Revenue Came Through"
"I used Altitude and their systems to get my book '7 Secrets the Weight Loss Industry Will Never Tell You' up and running online and just this week over $10,000 in revenue came through on the systems that Altitude provided to us. I'm selling books before we can print them… got to love it." Author of 7 Secrets the Weight Loss Industry will Never Tell You. 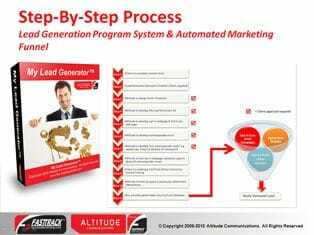 What is the My Lead Generation Program? 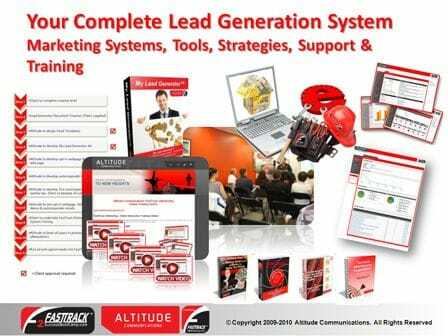 Designed to give you a complete Lead Generation, Website Traffic and Sales Management System, the My Lead Generation Program is an lead generation system that produces results. On completion of the program you will have a fully functional sales and leads management system that can be launched to your target market that will start generating hot targeted leads into your marketing funnel straight away. Including precious gems of insider knowledge that only come with years of coal-face experience and talent, this program is like no other in existence. Combining insider business knowledge with up-to-the minute tools, systems and techniques - this unique program is exactly what you've been looking for to give your business the winning edge in 2010. Meticulously designed to help both established and start-up businesses create, manage and profit from the generation of quality leads and website traffic, this program will change the way you market your business forever. a comprehensive reporting system that allows you instantly ascertain the success of every email campaign you send. 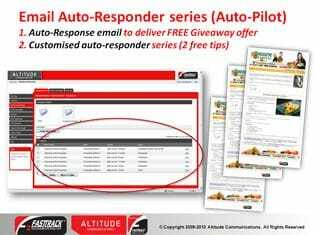 Includes 10 professionally written, SEM Optimised key word articles to help kick start your auto-response communication program and start generating traffic directly from the Internet. 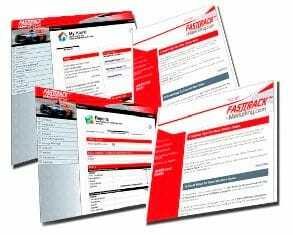 Personalised login to your new FastTrack eMarketing System that allows you to take full control of your article marketing via our in-built article library. A fully optimised mini-webpage that hosts your key word rich articles. How to use your lead generation program to increase the amount of traffic to your website using low cost/no cost strategies as well as other advanced online marketing strategies. We'll teach you how to unsure that your Lead Generation program continues to produce results in the future. 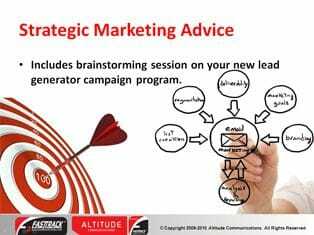 The Altitude Communications team will hold your hand throughout the entire lead generation program, ensuring the success of the program with minimal intervention or input from you. A series of advanced strategic lead generation webinars to ramp up the effectiveness of your lead generation program. Upon acceptance of your application and payment of your initial deposit, a welcome pack will be sent to you containing step-by-step instructions on what to do to move forward. Client Success Story - "The results have been absolutely amazing"
"The results from my lead generation campaign were mind boggling, we've generated over 100 new leads in less than 3 weeks. I have never been involved with anything like this before. The results have been absolutely amazing and outstanding. With the amount of leads we've captured we're finding that this is the best thing we've ever done to bring new business in." 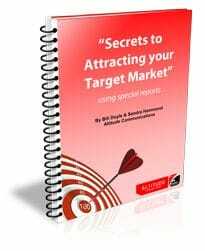 "Secrets to Attracting your Target Market"
This exclusive guide details how to write a special report that contains an irresistible offer. 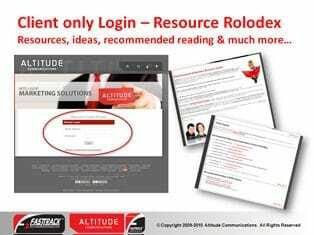 FREE access to our online password protected online Client Resource Rolodex and online knowledge base which contains amazing resources and lots of low cost/no cost ideas. Client Success Story - "600% Increase in Leads database"
"Have you ever had SO MUCH information that you don't know where to start? That's how I felt - confused, overwhelmed and almost paralyzed to take the first step! 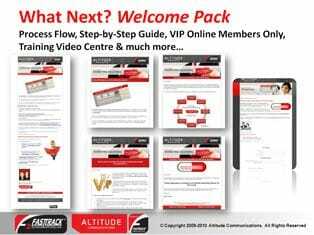 After completing the My Lead Generation Program and Altitude's Monthly Marketing Mentor Sessions, I feel I've now got the knowledge, support and structure. What has really blown me away is the LEVEL of support I receive.... It's this level of service, and the calibre of the information they are providing that makes me one very happy customer! includes $143 per month ongoing monthly hosting service fee for your FastTrack eMarketing System, and Mini-Lead Generation Website Blog. Please note: Acceptance is based on strict assessment criteria. After completing the expression of interest form below, you will be notified of your acceptance in via telephone within 5 business days. Click here to complete the application form now. The first step to your success begins with you. Secure your consideration for inclusion now by clicking here and completing the application form. Please note that places for our "My Lead Generator" Program are STRICTLY LIMITED limited due to the fact the we work with you individually one-on-one. There is no guarantee that by completing the form below that you will accepted into our program. We look forward to reading your application and wish you all of the best of success! Client Success Story - "results have increased 400% in only a few weeks"
"I now have a fantastic lead generation system that I can easily manage and communicate with using newsletters, email marketing and auto-responders. 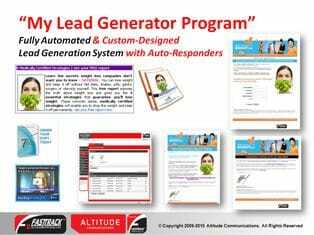 My lead generation results have increased 400% in only a few weeks and my database continues to grow exponentially with warn qualified leads." Please note that payment is NOT required or processed at this stage.